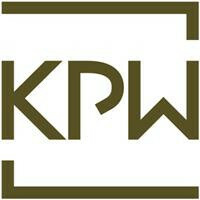 Kurz Pfitzer Wolf & Partner is an IP and IT boutique law firm. We cover all IP and IT matters, including all aspects of trademark, design, copyright, IT and unfair competition law, as well as patent licensing and litigation. Kurz Pfitzer Wolf & Partner is known and trusted for its sophisticated legal advice, consulting, high-quality prosecution and effective litigation. Our professionals are highly specialised and have a profound knowledge and experience of IP and IT matters. Many of them are certified as experts in IP law by the German bar association. Kurz Pfitzer Wolf & Partner offers strategic advice and worldwide filing services. We are renowned for providing expert global IP management to our clients, currently managing trademarks in more than 110 countries. We work closely with our well-established network of professional contacts around the globe. With our experience and knowledge of prosecution and litigation, we obtain rights that will stand up in court. Kurz Pfitzer Wolf & Partner represents their clients before the German, Swiss and EU IP offices as well as the WIPO. A particular strength of Kurz Pfitzer Wolf & Partner is the firm’s specialist IP litigators, who provide top-notch, cost-effective IP litigation all across Germany and before EU courts. We also provide cross-border litigation in collaboration with professionals from other countries. Kurz Pfitzer Wolf & Partner frequently appears before all relevant courts in Germany to effectively and successfully represent clients in IP matters through preliminary injunctions and lawsuits. Our professionals’ profound knowledge and experience of IP law and the procedural obstacles and details ensure the best outcome possible for our clients. Kurz Pfitzer Wolf & Partner is highly experienced in anti-counterfeiting and enforcement matters. We support our clients to prevent the import, sale and distribution of infringing goods in Germany, the EU and internationally. Our services include registration with Customs in Germany, the EU and internationally as well as strategic advice to reduce counterfeiting from the beginning. We provide comprehensive services to monitor infringements on the Internet and other platforms. Kurz Pfitzer Wolf & Partner conducts IP due diligence reviews for mergers and acquisitions, as well as other corporate ventures. We also negotiate IP and IT licenses and related agreements that safeguard our clients’ business and legal interests when clients are selling their business or their IP rights. The professionals at Kurz Pfitzer Wolf & Partner are highly experienced in all contractual matters relating to IP and IT rights, especially licensing and contractual protection of know-how. We frequently draft and negotiate national and international contracts regarding IP and IT issues, especially in relation to pharmaceuticals, engineering and software. Kurz Pfitzer Wolf & Partner has a well-established international network of IP law firms, patent attorneys and service providers. Kurz Pfitzer Wolf & Partner is also a member of INTA and contributes to INTA committees.